Your company’s logo is one of the most important parts of your corporate brand, leading to instant recognition by the public and potential customers. 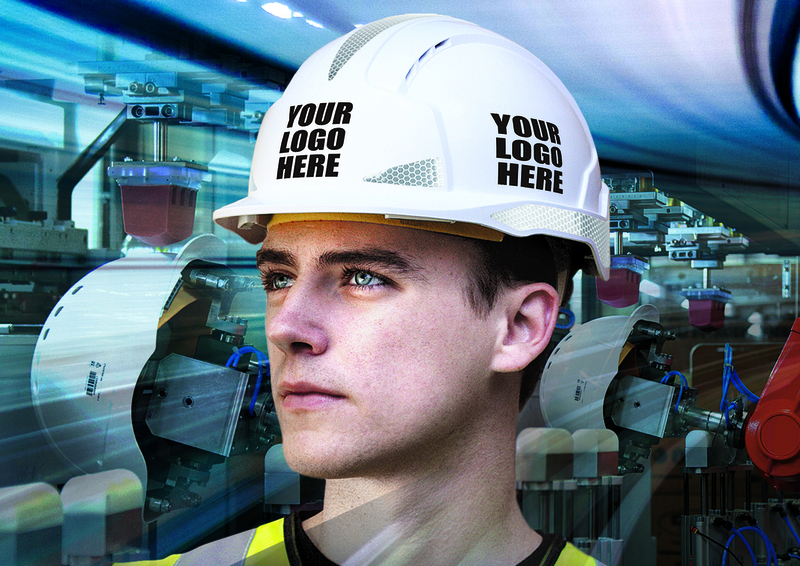 Now, JSP's investment in new robot printers means your logo can be printed on your choice of helmet and delivered in five working days from receipt of order. 3) Approve or amend the colour proofs JSP will email you. 4) Wait for your branded helmets to be delivered in just five days. The company states: "The new fast track logo service gives safety and recognition in one fell swoop. In line with its pioneering philosophy, JSP's Logo Express can justly claim to be the fastest logo service in the UK."